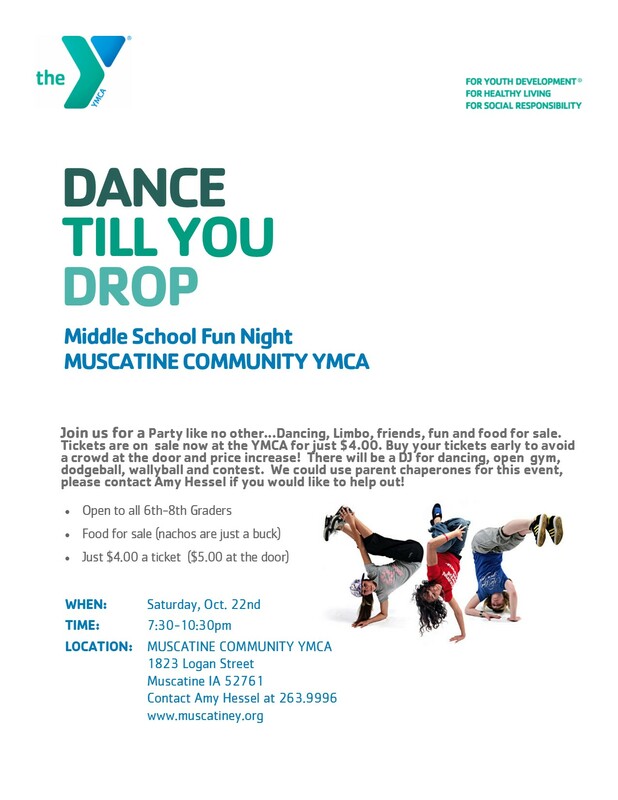 The Muscatine Community YMCA will hosting a Middle School Fun for all 6th-8th grade students on Saturday, Oct 22nd from 7:30-10:30pm. The event, also known as the Middle School Dance will have a DJ for dancing, food for sale, open gym, dodgeball and contests. Ticket are on sale now at the Y for just $4 OR $5 at the door. We are always looking for parent volunteers for the event. For more information or to volunteer contact Amy Hessel at the Y, 263.9996.